Being a parent is mostly about balance. You’re constantly juggling this or that, without much room to even stop and breathe most days. In the effort to balance everything and just maintain… there’s the underlying urge to be “super parent” at the same time! Super parent goes so much further than just the usual keeping the kids fed and clothed. Oh no. Super parent has to keep the kids clothed in “fun” clothes. The food has to be APPEALING to the child (while still being nutritious, of course). This is especially true at lunch time. This is a time when all the kids come together to eat, and it’s impossible to shield your child from the awesome lunches packed by other parents who are trying to be “super parent” as well. Now you have the pressure of packing a cool lunch, just when you thought remembering to pack their lunch in the first place was the ultimate feat! Putting together a “super cool” lunch isn’t nearly as difficult or time consuming as you think. In fact, it’s quite simple. You really only have to grab the Chobani! 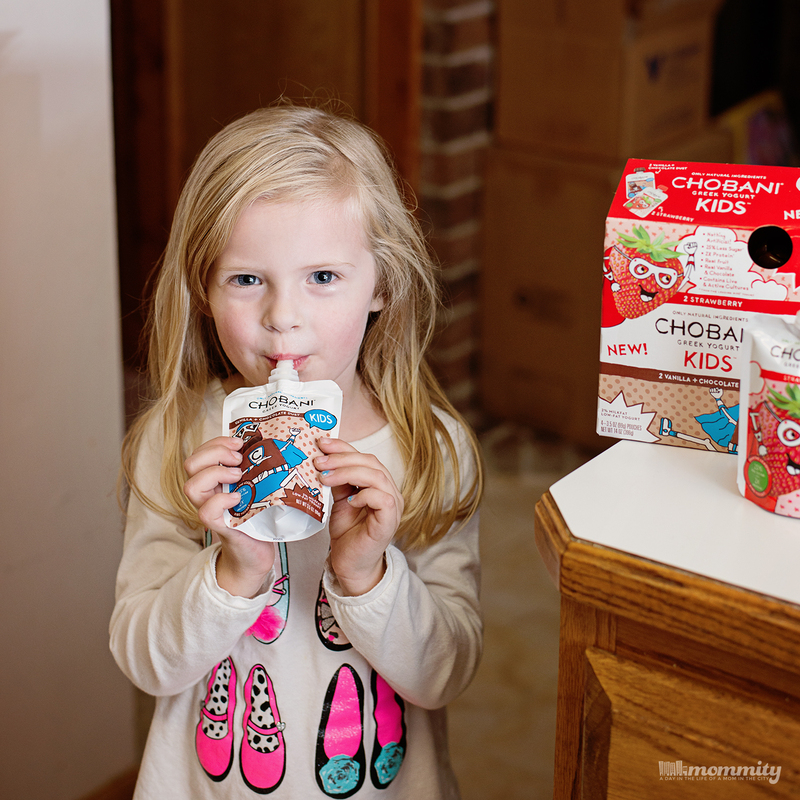 Chobani Kid’s comes in both pouches and tubes that make them very simple for kids to eat at lunch, without even needing utensils. 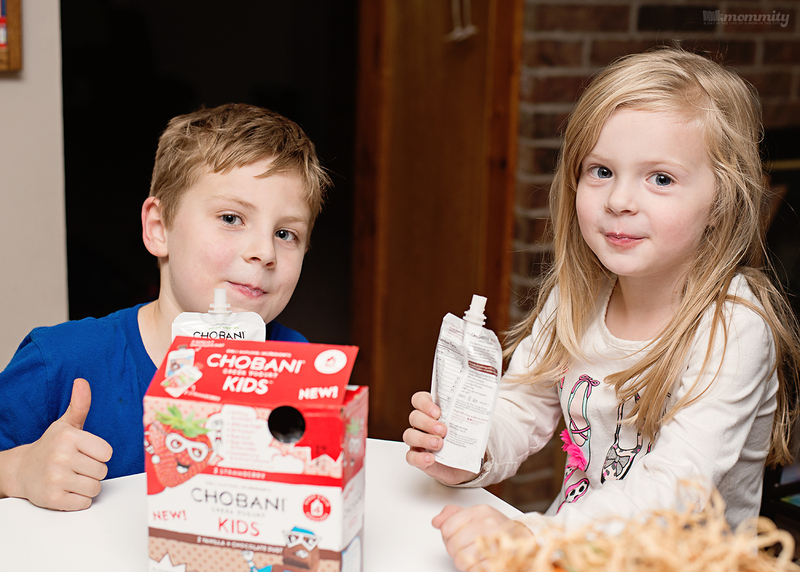 All of the Chobani Kids and Chobani Tots products contain real fruits and vegetables, and nothing artificial. Only natural ingredients, no preservatives or artificial colors or flavors. They also all contain less than 5% lactose, are gluten-free, and have live and active cultures and probiotics. 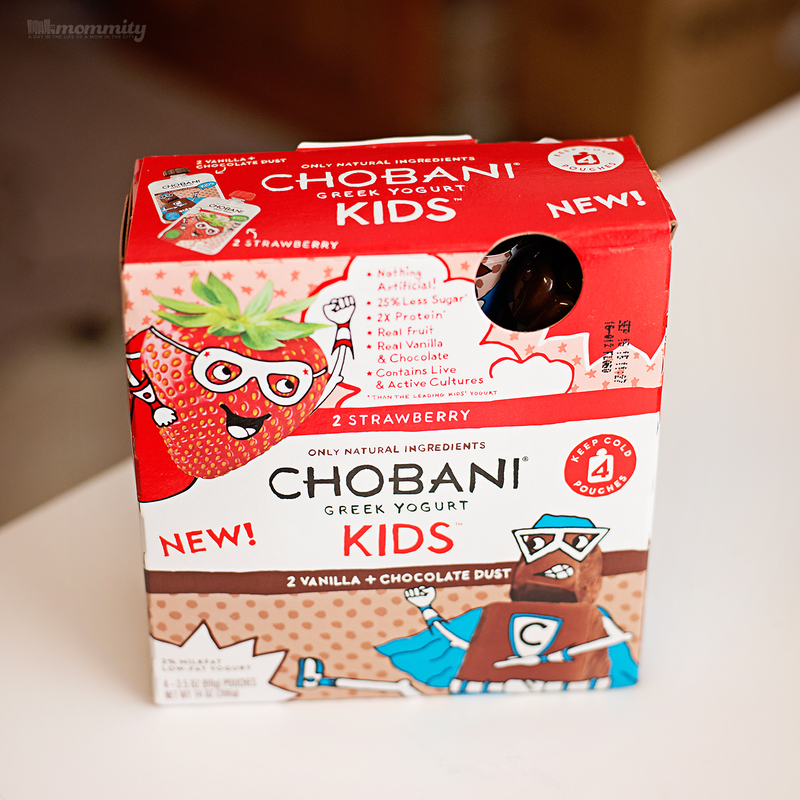 Chobani Kids Pouches come in Strawberry, Grape, or Vanilla & Chocolate Dust Flavors! These flavor choices are sure to be a hit with the kids. 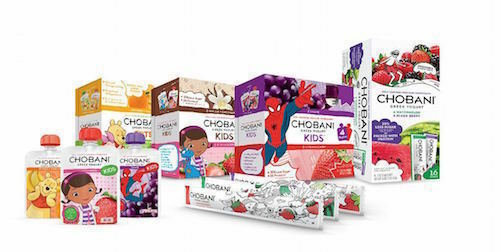 As if that’s not enough, the packaging features Spider-Man and Doc McStuffins, and comes in dual flavor 4 packs! They are packed with 2X the protein compared to the leading kid’s yogurt. They also have 25% less sugar than the leading kid’s yogurt and are a very good source of protein and calcium. Chobani Kids Tubes contain 25% less sugar than the leading yogurt tubes and also come in fun flavors like Strawberry, Banana, Mixed Berry and Watermelon. Each 2-ounce tube provides 5g of protein, compared to 2g for other kid’s yogurt! Easy as that, the perfect balance between fun and nutritious! Sure, throwing one of these in your kid’s lunch may not automatically make you “super parent”… but they’ll certainly set you off to a good start ;-). Be sure to print out this coupon for Chobani Kids Savings!! ← Pumpkin Stencil for All Bacon Lovers & Other Fun Bacon Crafts!